A gardening stool is an essential gardening accessory that is much more than just a simple seat. This type of gardening seats are designed to hold your tools together and some models even transform in kneelers, adding more versatility to the product. Although simple in function, the gardening stools are not all the same. Read our guide to learn how to choose a gardening stool, or use the links below to jump to our best gardening stool reviews if you don’t feel like reading through the whole article. On the market, there are different types of gardening stools. Some manufacturers propose models with storage box, others can be transformed in gardening pads, some of them are foldable and some even have wheels. For this reason, choosing the stool most adequate for your needs is not always easy. Below, we explain the differences between the various types of gardening stools, followed by a brief guide on how to choose the best seat. At the end, take a look at our selection of the best gardening stools available on today’s market and see if you find the one most suitable for you. Among the most popular types of gardening stools, the models equipped with storage box are comfortable and convenient. This type of seats are actually shaped as a regular tool storage box and provided with wheels, so they are easy to pull around the garden. The seat is represented by the lid of the storage box and it is usually pretty comfortable thanks to the generous dimensions. Some models even have detachable seats that double as kneeling pads. In our opinion, these are the most versatile type of gardening stools as they offer the most spacious tool storage option and bring the convenience of three products in one. Another versatile type of gardening stools are the models that transform from stool to kneeler pad. These models are very simple and usually made of a metal or alloy frame on which is mounted a seat that is adjustable in height. There are also some models with fixed height seat and can be simply flipped up and transformed into a kneeler pad in a matter of seconds. Although these models transform easier, they are usually not equipped with a tool storage pouch. In fact, the models with adjustable height seats are usually equipped with lateral tool storage pouches that can keep your small gardening tools together. Although they are harder to carry around the garden, these stools are probably the most popular. This type of gardening seats is very similar to the camping stools. They are usually made of a metal or alloy frame on which is fixed a canvas seat, with or without tool storage pouch. The frame is foldable, making storage really convenient. Although these stools are comfortable and easy to store when not in use, they don’t offer a real convenience in terms of features and characteristics. The tool storage pouches, when present, don’t have impressive capacities, and most of the times you will have to remove the tools before folding the seat. On the other hand, these stools don’t have a double function of kneeler pad, a useful feature especially when you have to prune shorter plants. This type of gardening stools should not be confounded with the gardening stools with a storage box that also have wheels. The stools in this category are usually referred to as gardening scooters and are designed to provide a comfortable seating and ease of use to those affected by reducing mobility, such as the elderly. In fact, to move the scooter around the garden you will not actually have to stand up and pull the stool, just use minimal effort to move the wheels from a sit-down position. In most cases, these gardening stools are equipped with tools storage area that is usually spacious enough to accommodate almost all tools. Unfortunately, they don’t transform in kneeler pads and don’t have removable seats. 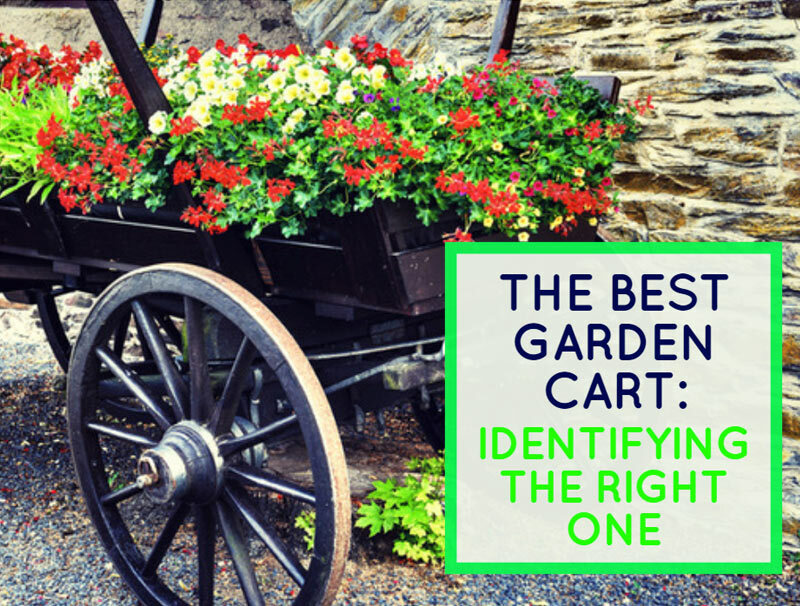 The first step in choosing a gardening stool is deciding which model you need from the types presented above. Once you decided the type, here is a list of other things to consider. Stool dimensions: when choosing the dimensions, most amateur gardeners consider the dimensions of the seat. However, in the case of a gardening stool, you should be more concerned about the height, especially if the model you like doesn’t have an adjustable seat. 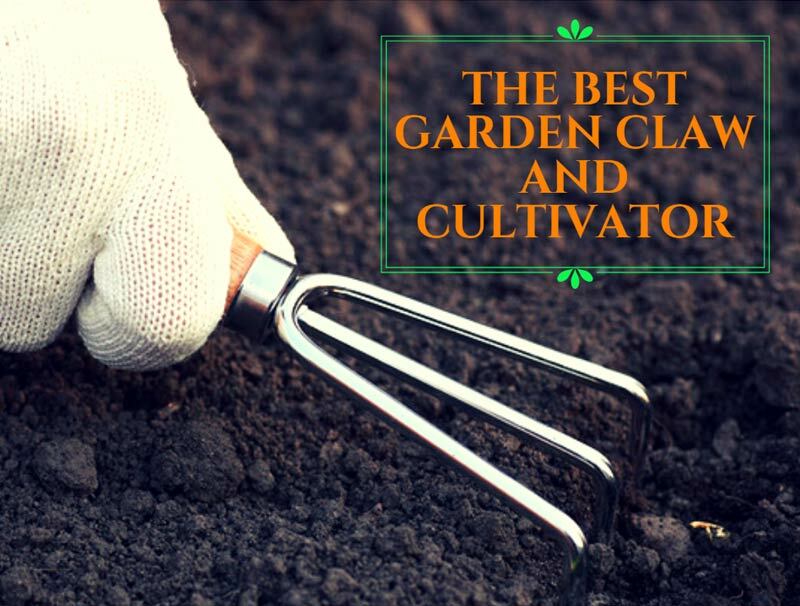 A great number of gardening procedures will require you to stay close to the ground, and sitting on a too high stool can cause you back pain and other related issues. Maximum supported weight: gardening stools are usually strong and sturdy, yet they all have a weight limit that can be supported. When choosing the ideal weight limit don’t consider only your weight, but also the weight of the tools that can be stored on the stool. Stool’s weight: how lightweight or heavy a stool is, especially if you choose a model without wheels, will determine the ease of moving it around the garden. Again, don’t check only the weight of the stool, consider also the weight of any tools you will store on this gardening accessory. Convertible: while some gardening tasks will require you to stay close to the ground, for others you might be more comfortable seating. A stool versatile enough to transform into a kneeler pad is more convenient than the fixed height stools and you will be able to carry with you two accessories in one. Storage: almost all gardening stools have tool storage capacities, but there are some important differences between them. Some models come with canvas storage pouches strapped to the side of the stool. In this way, the tools will always be within easy reach yet they are usually suitable only for the smaller tools. Other models have under the seat storage compartments that present the advantage of doubling as tool storage boxes. In this case, you will have to sit up every time you need to use a different tool. Lastly, gardening scooters usually have spacious tool storage baskets. ​Since there are so many things to consider before buying a gardening stool, we have reviewed the best of them to help you with your choice. Take a look at our selection below. The gardening stool and kneeler pad is the most popular type, and the most popular among the users is the Ohuhu Garden Kneeler and Seat With Tool Pouch. This gardening stool is composed of a steel frame and EVA seat and pad. The seat is not adjustable in height, yet it is provided with thick EVA cushions on both sides. You will only have to flip the stool to transform it into a kneeler pad with handles. The seat comes with two complimentary gardening tool storage pouches that attach to the frame with Velcro. The pouches are not excessively spacious, yet they are perfect to help you keep together the clippers and pruners, and even a couple of small spades. Although sturdy, this gardening chair is lightweight and it is really easy to carry around. Elevated kneeling pad: thanks to the extra thick EVA pad your knees will be protected from mud and you will be able to work from a comfortable position. Weight capacity: the stool has a capacity of 330 lbs. This means that it can easily support your weight together with the weight of any tools you choose to keep in the storage pouches. Foldable: for easy storage, the stool is foldable and you will be able to keep it even on the shelf of a gardening table. Comfortable: when used as a seat, the stool has the dimensions of a small gardening bench and is comfortable for almost all users. The stool is perfect to use on the ground, but on tiled or concrete surfaces it doesn’t have a great stability. Maybe this could be fixed with a few rubber sticks-on. A gardening stool similar in many ways to the one presented above, the Abco Tech Garden Kneeler And Seat has the same use recommendation of garden kneeler and seat. This stool has a sturdy metal frame that supports up to 225 lbs. of weight. On the frame is mounted a fixed seat and kneeler and you can transform the stool to a pad with handlings in a matter of seconds. This product comes with a spacious tool pouch that is easy to fix to the frame with Velcro closures. The stool is easy to store and also easy to carry around. For storage purposes, the stool folds flat and occupies a reduced space. On the other hand, the item is really lightweight. EVA cushions: both the seat and the kneeler pad are made of plastic and padded with EVA cushions that increase the comfort regardless of the position. High-quality parts: both the frame and the padding are made of high-quality materials that are designed to withstand the test of time. Money-back guarantee: if you’re not fully satisfied with the product, you can return it and claim your money back without having to answer any questions. Lightweight: the stool is easy to carry around because of its low weight. Even elderly people or those with reduced mobility find it easy to use it. The cushions are a little too hard and can cause back and knee pain when used for a long period of time. 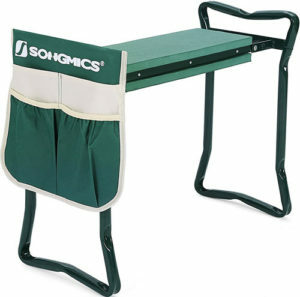 A convertible garden stool and kneeler that enjoys a huge popularity for its excellent quality is the Garden Kneeler Seat by SONGMICS. This gardening stool boasts a durable yet lightweight steel tubing frame that supports a weight load of up to 330 lbs. The seat doubles as a kneeler when the stool is flipped upside down and both sides are padded with soft EVA cushions. The stool folds flat when not in use, a convenient feature for both storage and easier carrying. As a bonus, the manufacturer offers a truly spacious tool storage pouch that can accommodate most tools necessary for sowing, potting, pruning, and more. Versatile design: the stool doubles as a kneeler and in this case the frame can be used as side rails, making it easy to get up from the ground. Thick cushioning: both sides of the stool are fairly soft and you will be able to avoid getting knee or back pain. Large tool storage pouch: the storage compartments on the pouch are large enough to accommodate most types of tools. Foldable: it is really easy to store the stool even in the narrowest spaces by simply folding it flat. The stool’s frame folds easily as soon as the stool is lifted from the ground and most of the times you will have to fold it when carrying it from one part of the garden to the other. This thing might be annoying sometimes. Some people suffering from joint diseases might sometimes find it hard kneeling when weeding or caring for the plants. In this case, the Step2 Garden Hopper might be a more suitable gardening stool option. This gardening stool is a mobile work seat and tool storage box equipped with 7-inch smooth rolling wheels that ensure an easy mobility on all types of terrains. The tool storage compartment is located underneath the seat and is really spacious. In fact, the compartment can accommodate almost all tools and other gardening accessories, such as the gloves or a gardening ﻿﻿hat. Molded-in handle: the handle is convenient when it comes to moving the stool from one part of the garden to another. Beverage holder: when working under the hot afternoon sun, having a cool beverage at hand is a plus. This is possible thanks to the built-in beverage holder. High weight limit: the stool supports up to 250 lbs. of weight which is quite good for a plastic material stool. Easy to move around: thanks to the smooth rolling wheels, it is easy to move around the garden without actually getting up from the seat. The wheels, although sturdy, seem to have the axels made of a poor quality material, therefore the stool might not support its maximum stated weight. For the elderly, as well as for all those who have mobility issues, a gardening scooter might be the best investment. A well-rated scooter to consider is the Garden Cart Rolling Work Seat With Tool Tray by Best Choice Products. This gardening stool is versatile and works well on all types of terrains, thanks to the sturdy 10-inch wheels. The seat is really comfortable and a great addition is the tool basket that will help you keep all the essentials at hand. The scooter is made of durable steel and has solid wheel axles that support a weight of up to 300 lbs. Another feature we really like is the water resistance. 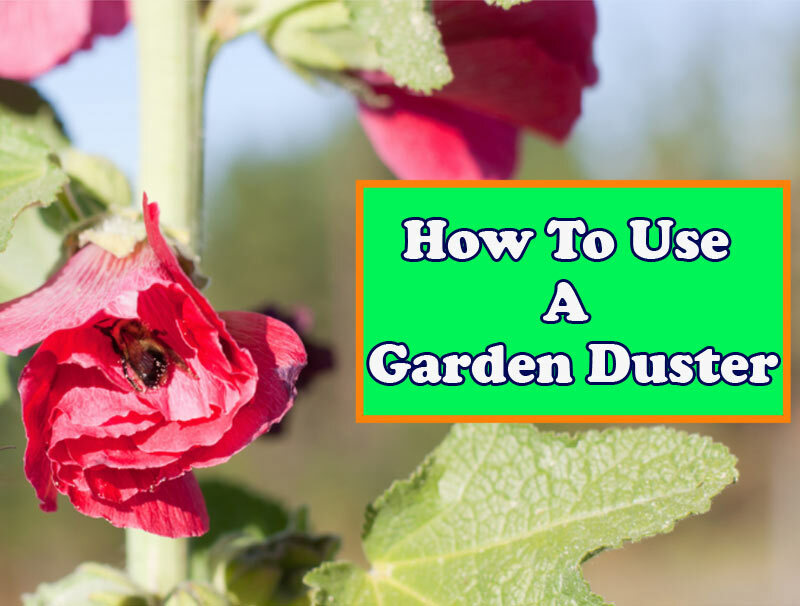 You will not only be able to care for your plants regardless the weather but will also be able to leave the scooter out of the shed without worrying. Heavy-duty construction: the scooter is built to last and it has a strong steel frame that supports a high weight load. Multifunctional design: the scooter isn’t only a convenient gardening stool, thanks to the storage basket it also helps to keep your gardening equipment together. Ergonomic: the seat is designed for comfort and its ergonomic shape guarantees that you can work all day without accusing any problems. Water resistant finish: the scooter’s frame is coated with a green powder that not only makes the product attractive but protects it from the weather elements. The stool doesn’t have any types of handles, an important feature as this product is designed to be used by persons with reduced mobility. In our opinion, the best gardening stool available on the market is the Ohuhu Garden Kneeler and Seat With Tool Pouch. This stool transforms into a kneeler pad in a matter of seconds and it is equipped with comfortable EVA padding on both sides. Although the seat is not adjustable in height, this issue can be easily balanced by the other characteristics of the stool. In fact, when used as a kneeler, the seat’s legs transform into handles. The stool is also provided with two tool storage pouches that can help you keep all your belongings and gardening essentials together. And given its popularity, this stool can easily be defined as the best gardening stool available on the market.